The time has come. The 2018 Honda Accord has arrived at Burns Honda near Mount Laurel, and is sure to impress. With six available trim levels to choose from, potential buyers can get behind the wheel of the Accord that fits their needs the best. Coming standard with a 1.5L direct-injected VTEC Turbo® engine with dual Variable Timing Control, drivers will have no problem getting to where they need to go on time. Everybody want to get behind the wheel of a car that is sleek and stylish. 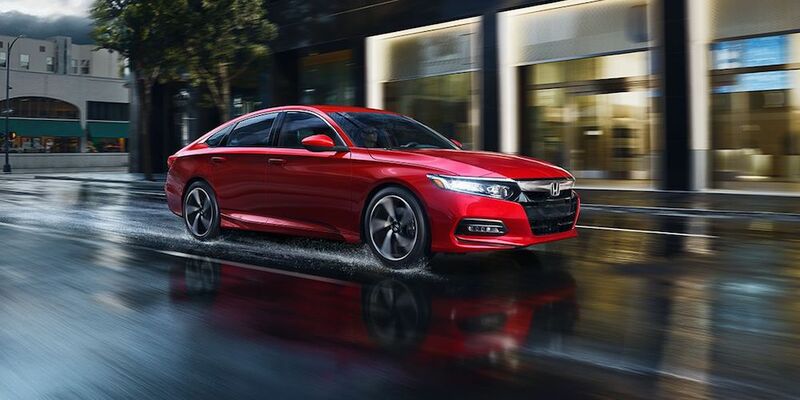 Luckily for Honda drivers, they can zip around the streets near Mount Laurel with complete confidence, as the 2018 Accord will be the center of attention everywhere it goes. While the exterior has features that are sure to be a crowd pleaser, the interior keeps drivers and passengers comfortable at all times. Thanks to the soft-touch materials and intuitive control placement, the cabin will feel like home. While the Accord undoubtedly has the looks, it also has the brains. Even the most tech-savvy shoppers would be blown away by the available eight-inch Display Audio Touchscreen, which helps all passengers remain connected and entertained throughout their travels near Mount Laurel. Thanks to Apple CarPlay™ and Android Auto™ connectivity, travelers will be able to listen to all of their favorite music, answer their calls, and find their way home with ease. When our customers visit Burns Honda, they get the chance to see just how much we care about what we do. We work hard to make sure that shoppers get the car they’ve been searching for, but we also want to ensure that they remain healthy and secure out on the road, as well. Thanks to the abundant amount of safety features in the 2018 Honda Accord, drivers and passengers can enter the car with confidence. From Collision Mitigation Braking System™ (CMBS™) to Traffic Sign Recognition, innovation and safety are present during each drive. For more information about the 2018 Honda Accord, contact Burns Honda at (855) 571-4863 to schedule a test drive.